The host gun used in engineering the Vers 3-Lug is a German HK MP5 9mm submachine gun and we certify that it will work with any genuine HK 9mm three lug system. It will not work on HK .40 or 10mm systems and may not be compatible with certain copies that do not follow the HK specifications. If you already own a Bowers Group silencer, just unscrew the insert in it and replace it with this one to swap over to three lug goodness. As with any of our inserts, they can be changed at your whim so you can use the silencer on other hosts. 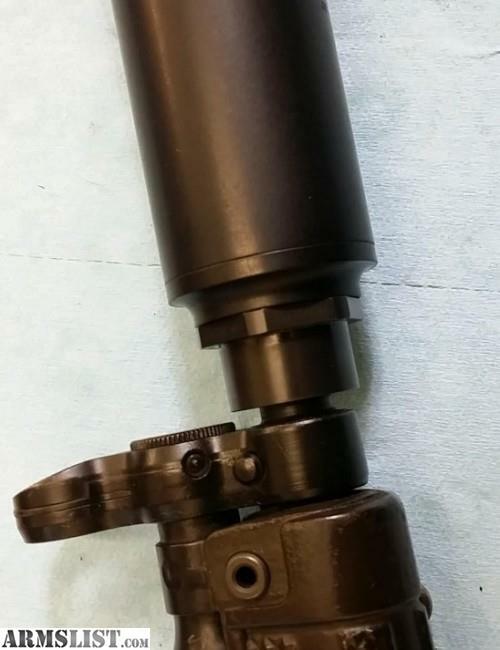 Please note the Bowers Group 3 lug is a thread adaptive insert for use with Bowers silencers only. These are not designed to work with airsoft products or other brands of suppressors.